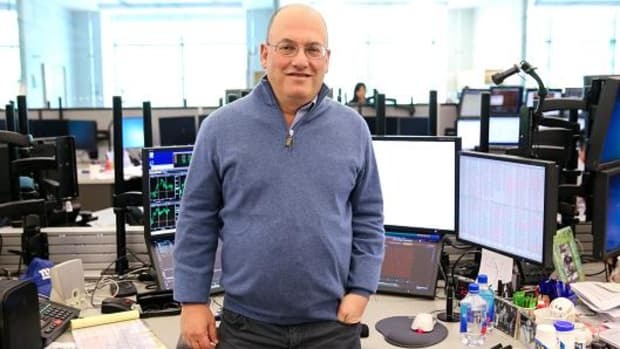 In case you had forgotten, Steve Cohen owns a small slice of the New York Mets. And like Bobby Bonilla, Mo Vaughn and Oliver Perez before him, the team may be stuck with Cohen, reports the Times. That may not be so easy at Citi Field. The limited partners have agreed not to sell their shares for three years — or until around March 2015 — and to offer them to existing partners first. Given the debt-filled recent history of the Mets, it is unlikely that Wilpon has $20 million lying around to return to Cohen as the team seeks, in the weeks ahead, to sign some free agents with the money now coming off its payroll. Other minority partners, like the comedian Bill Maher, may not be willing to finance Cohen’s exit. And if his stake were then offered to outside bidders, how many people these days want to invest tens of millions in the Mets? Who Is Riding Off Into The Sunset With Mets Fans' Hopes And Dreams? Hint: he might've called you at your office asking if you were looking for a new job.